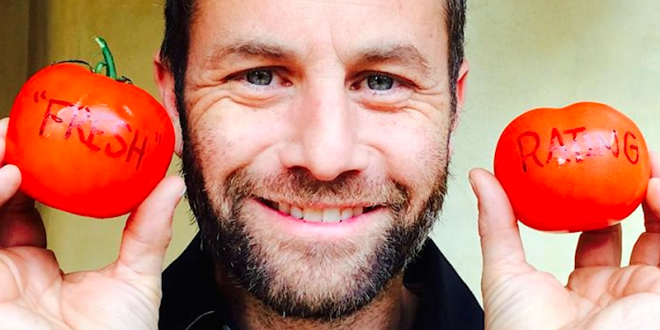 Kirk Cameron: Freep Rotten Tomatoes To Trick People Into Seeing My Movie - Joe.My.God. Kirk Cameron is asking his fans to help boost the putrid reviews his new “Saving Christmas” movie has gotten on the website Rotten Tomatoes. The conservative Christian and former child actor took to Facebook after professional and amateur critics savaged the movie, which opened last week. “Send the message to all the critics that WE decide what movies we want our families to see!” Cameron posted. “If 2,000 of you (out of almost 2 million on this page) take a minute to rate Saving Christmas, it will give the film a huge boost and more will see it as a result!” “Jesus came back, saw this, and gave up on humanity,” wrote Justin H. at Rotten Tomatoes. The professional critic rating was an abysmal 10 percent on the review aggregating site, but Cameron’s fans had helped lift the audience score to 60 percent as of Friday afternoon.